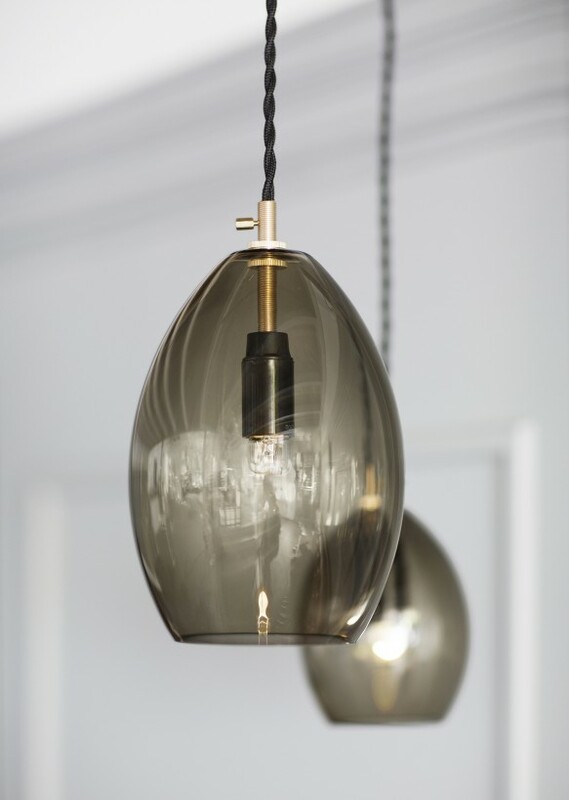 Unika is a mouth blown series of small, glass pendant lamps, originally designed for the Restaurant Grønbech and Churchill in Copenhagen. Its simple base is made of solid brass; a detail that gives the lamp a clean, industrial look, making a sharp contrast to the fragile, handmade glass lamp shade. 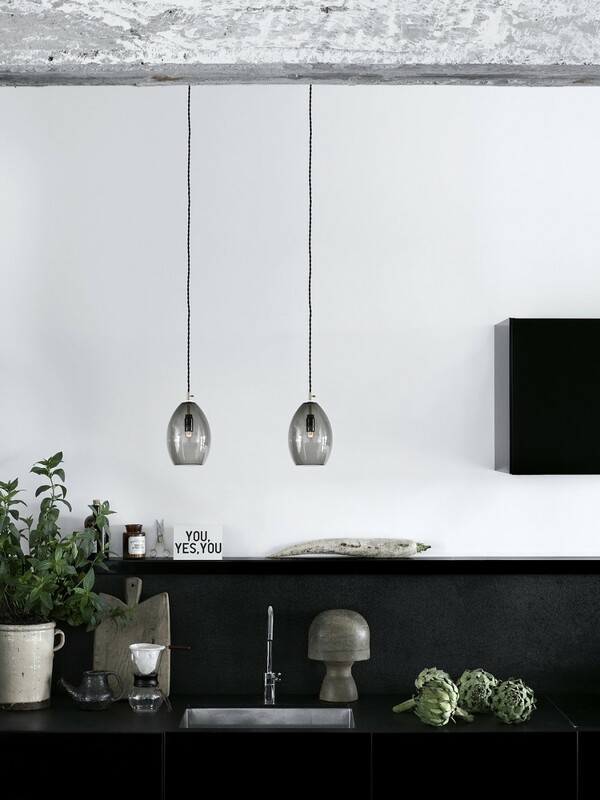 The shade is available in two sizes, and hangs from a twisted black fabric wire.